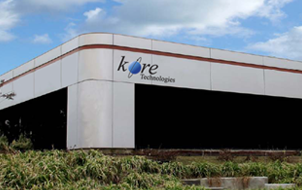 If you are looking for a career, Kore Technologies is the place to be! Invest in a great future at Kore Technologies. We are a growing sales and service company with a focus on creating technology solutions for our Client's business problems. This is an exciting, challenging place to be with lots of exposure to new technologies, lots of freedom, and a hard working but enjoyable environment. There are many opportunities for individuals to explore, learn, and grow as you become part of the team. Kore Technologies offers competitive salaries and a benefits package including: Medical Insurance with company paid premiums, 125 Cafeteria Medical Plan, Basic Life/Accidental Death & Dismemberment, Paid Time Off, Holiday Pay, Short/Long Term Disability, 401(K) plan, and a profit sharing program. Kore currently has an open position for an ASP .NET Developer who is interested in joining our team to help develop high-performance commercial Web applications. If you would like to be considered this position, please email us your cover letter, resume, and salary requirements. All materials submitted will be kept in strict confidence.